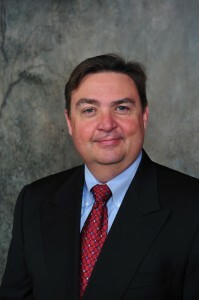 Cary, NC – September 13, 2013 – INDA, Association of the Nonwoven Fabrics Industry, has announced that Morris T. Collins, Jr. has been appointed Director of Member Relations, a new position at INDA. Prior to joining INDA, Collins served as General Manager of the Aptra Business at RKW Danafilms, Inc.
Collins has almost 30 years of experience in sales/marketing and operations positions in engineered fabrics and films. All of this experience has been with the entity that started as Amoco Fabrics and Films Company and is now part of RKW SE. Collins served as a Board Member of INDA from 2009 to 2012. In 2011 he was the recipient of INDA’s Lifetime Service Award and inducted into the Nonwovens Hall of Fame. Collins will be relocating to INDA headquarters in Cary, NC. “I look forward to joining INDA and helping expand INDA’s reach into all areas of the nonwoven engineered fabrics industry. In my new role I’ll be listening, serving members and providing a “voice of the customer” to assist in INDA’s program planning. I know from my own experience the value of INDA to the industry and look forward to conveying this to prospective new members,” says Collins. INDA, Association of the Nonwoven Fabrics Industry, serves hundreds of member companies in the nonwovens/engineered fabrics industry doing business globally. Since 1968, INDA networking events have helped members connect, innovate and develop their businesses. INDA educational courses, market data, test methods, consultancy and issue advocacy help members success by providing them the information they need to better plan and execute their business strategies. For more information, visit: www.inda.org.